The Masvingo city council has turned down an application by Dr Wonderful Mutangiri to establish a private hospital in the industrial area saying the location is not suitable. 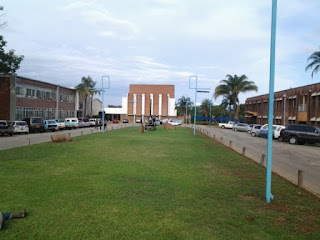 Dr Mutangiri had applied for change of use of Stand 695 Industria Road to establish what could have been the second private hospital in Masvingo. The city fathers argue that the industrial area is a noisy place which can affect the hospital operations. "The intended business was not compatible in the area since patients may be affected by noise from the abutting properties," reads the Public Works and Planning minutes of January 10, 2019. The city engineer reported that the stand was meant and designated for industrial property according to the city’ plan and said that Dr Mutangiri’s application could not be put into consideration owing to the location on the intended project. It was clarified that patients need a serene environment which the industrial area does not offer. "In addition it was highlighted that patients may be affected by dust, fumes and smells generated from abutting properties", reads the minutes.